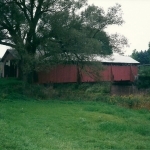 The Fitch’s Bridge was originally built in 1870 by James Frazier & James Warren, it is listed on the National Register of Historic Places as of April 29, 1999. 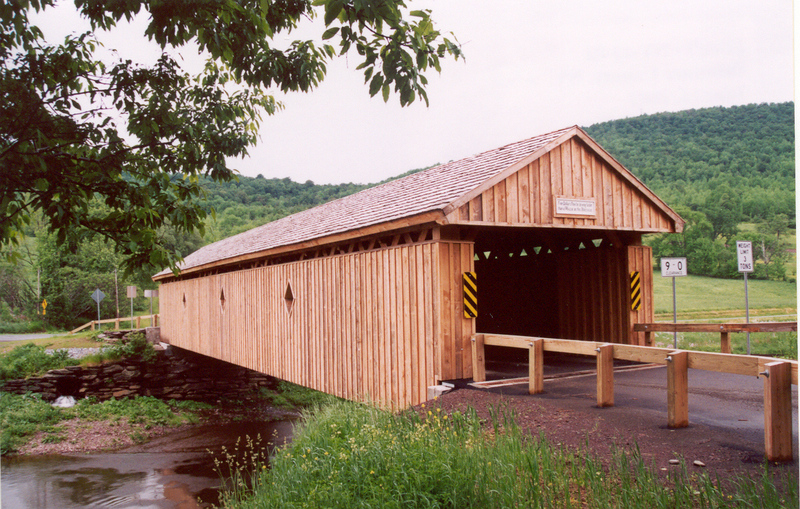 This bridge is a single span of 100 feet of Town truss moved to this present site in 1885. 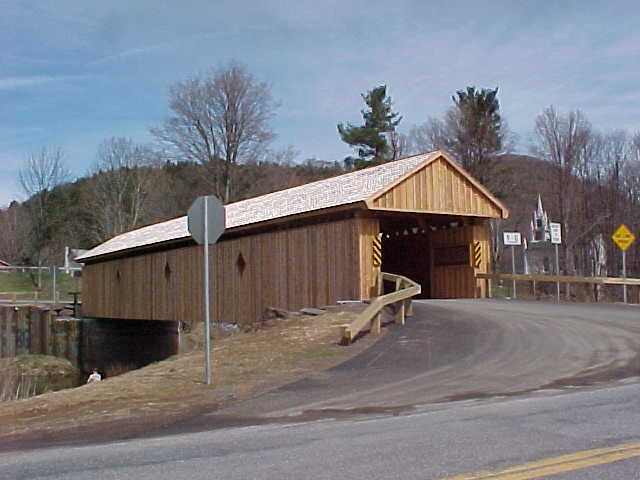 It is over the West Branch of the Delaware River in the Town of Delhi south of State Route 10, east of Delhi. 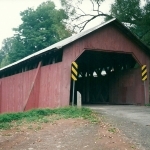 The Fitch’s Covered Bridge is one of six covered bridges in Delaware County. 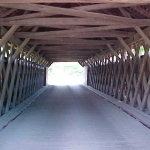 It is one of three bridges owned and maintained by Delaware County; the other three bridges are privately owned. 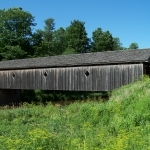 Built by James Frazier and James Warren in 1870, this 113-foot-long, single span structure incorporates the Town lattice truss design patented on January 28, 1820, and again in 1835 by Ithiel Town of New Haven, Connecticut. 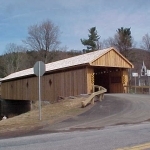 The Fitch’s Covered Bridge is one of three covered crossings maintained by Delaware County that still carry traffic across branches of the Delaware River. 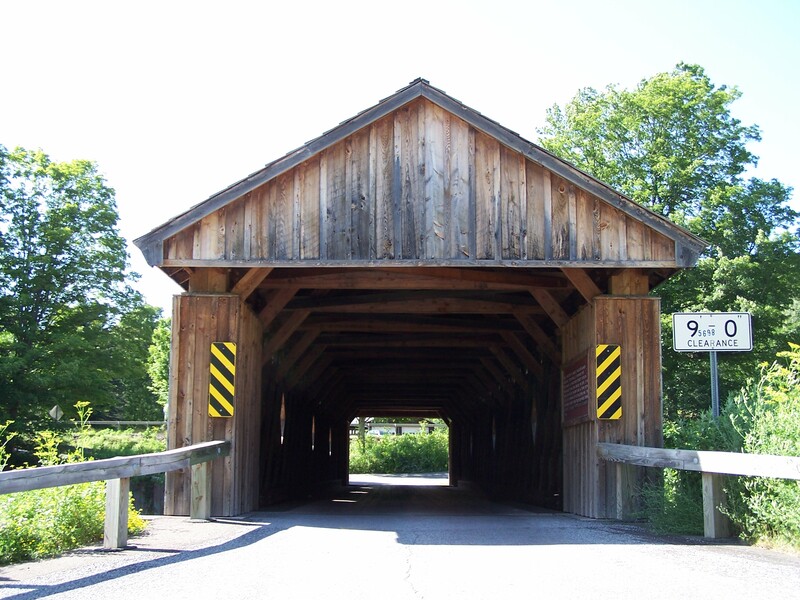 The total cost to build the Fitch’s Covered Bridge in 1870 was $1,900. He also found it handier to re-erect the bridge to face in the opposite direction from which it had stood in Delhi. 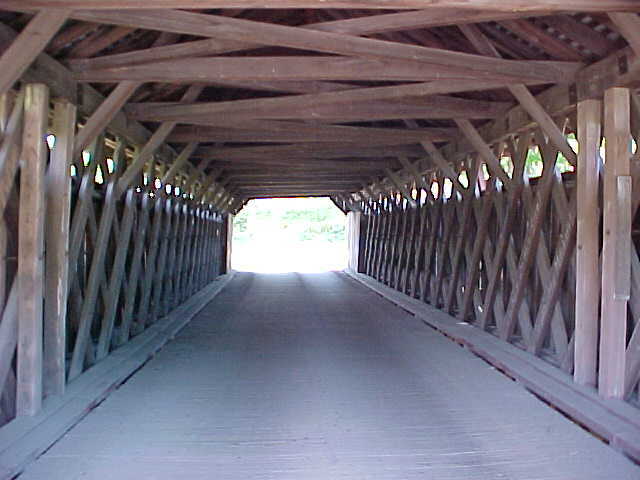 Asa result, all the timbers marked east are on the west side,and vice versa, and these markings can still be seen today. 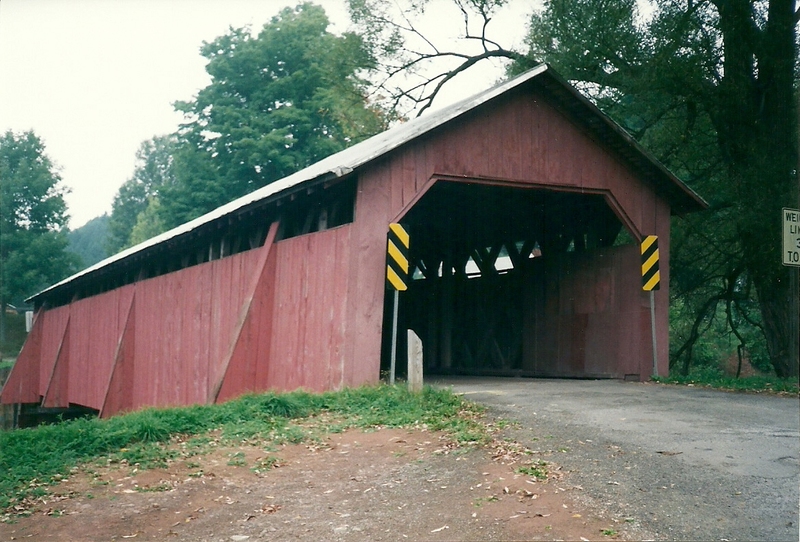 Rehabilitation of the Fitch’s Covered Bridge began in the spring of 2001, with the work being done by Delaware County’s own craftsmen. 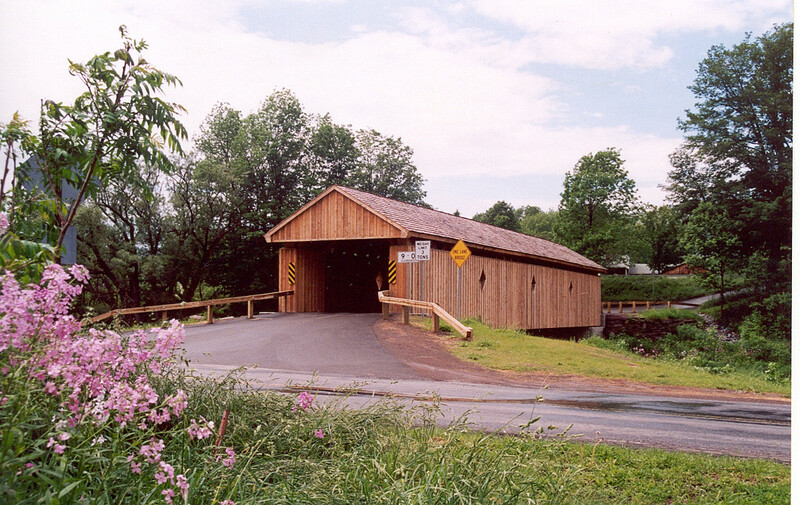 During the 2001 rehabilitation, three diamond-shaped windows were added to each side of the bridge to allow light into the interior. 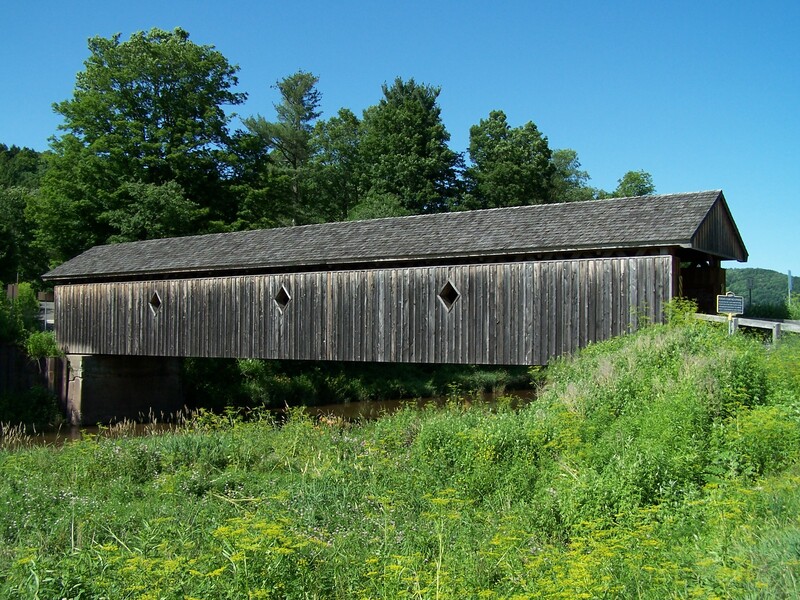 The bridge was also put back to its original length of 113 feet. 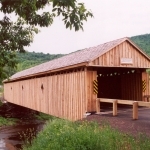 A wooden-shingled roof and natural wood siding were also new to the Fitch’s Covered Bridge. 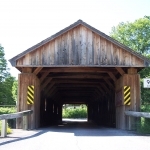 From Delhi, take State Route 10 Northeast for 3.5 miles. 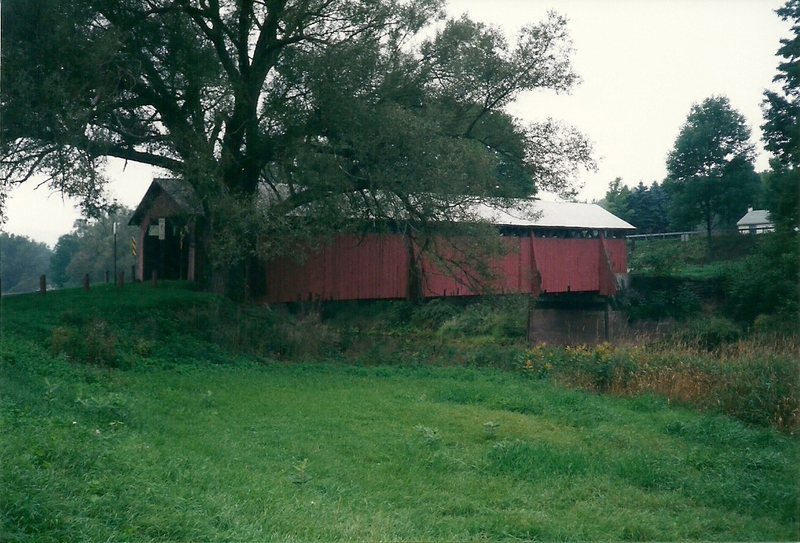 The bridge will be on the right and can be seen from the highway.